If I had thought that the pace of life was going to slow down with the arrival of Spring, I was mistaken. It seems as if things have roared off the launch pad at near supersonic speed this week. After an great Sunday which saw a relatively leisurely trip to Annapolis to watch Ethan's basketball game, things have really moved out. Monday after work was baseball practice, followed by Tuesday's racquetball league. Wednesday brought another baseball practice and Thursday was a great evening at home joined by friends. Friday will be a huge birthday celebration, Saturday more baseball practice, and on Sunday I have an early morning tee time staring at a temperature expected to be about 40 degrees. After a break on Monday for Orioles Opening Day, the week will pretty much repeat! Sometime during the weekend, I need to get my tractor started and possibly even do the inaugural mowing of the year! 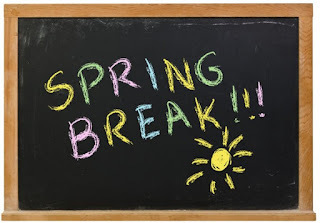 Spring break is coming and I will be taking some time off to spend with Chris during the ramp up to Easter and so I know there will soon be a break in the action. Pool opening day is drawing close as well! This is Making America Great, Again? Consider this: China may be pushing the united States to keep its promises to ensure a cleaner environment. I have read about the suffocating air pollution in Beijing and the general disregard for the environment through out industrialized China. 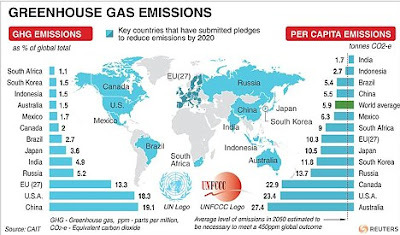 But in the united states we are different and more environment friendly. 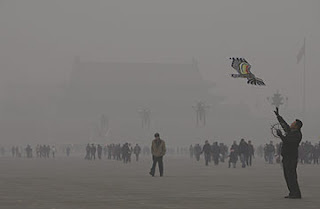 This morning's New York Times in an article titled, China Poised to Take Lead on Climate After Trump's Move to Undo Policies suggests that the roles of the world's two biggest producers of greenhouse gasses may soon switch. Note: Isabel Hilton, founder of Chinadialogue, a prominent website that reports on environmental issues and policy. In my mind, making America Great Again means taking the lead on planet-wide issues that will affect the health and prosperity of future generations, not increasing the country's use of 19th Century energy sources that, I have heard, caused the streetlights of come on at midday in some coal burning cities like Pittsburgh. Climate change and especially global warming is not a theory--it is a fact. If the U.S. turns back the clock on environmental controls the green movement will soon change colors and fade to brown. Making America great means leading the charge to protect the planet and make the world a better place, not mortgaging the prosperity and health of future generations for profits today. I guess that is what businessmen do, right? Work the system to turn a profit today and worry about tomorrow some other time. After all, they are only in the game for the short haul. The weather has moderated and my thoughts are turning to Spring. 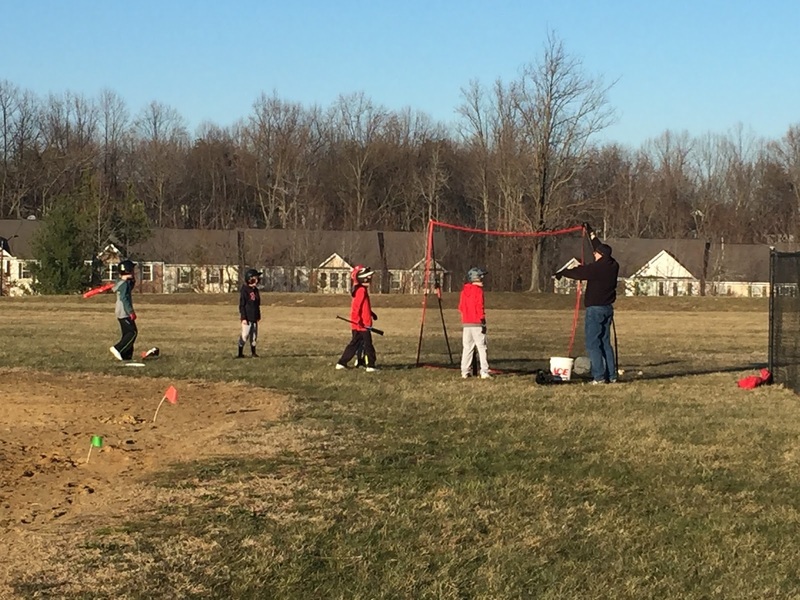 Youth baseball is well underway--we are having three practices per week in preparation for the coming season. I am very excited about the GORC U10 Intramural Dodgers! The boys are practicing hard and I love that they always seem to have smiles on their faces. It makes me smile, too! 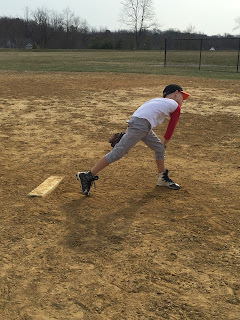 Jackson is learning to pitch and I believe that he has some promise! The forecast is relatively moderate as well. The temperatures are climbing slowly into the realm of the possible. Most days the temperature will be in the 60's, although hitting the 70's or 80's again seems beyond the forecast. 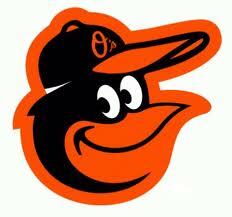 My thoughts are turning to baseball, Orioles Opening Day is Monday, and golf, I have a 7AM tee time on Sunday! The pace of life is increasing: I am out doing something 4 of 5 week nights. When i walk outside, I appreciate that the breeze that graces my face is no longer biting into my skin, but feels warmer and more inviting. It is Springtime and soon I will begin preparations to open my pool for the coming Summer season! The best time of the year is close at hand! 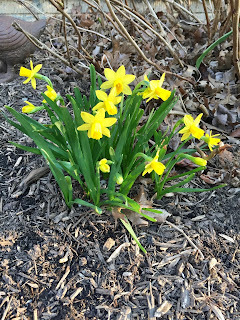 I had the opportunity to watch the clump of Tete-a-Tete daffodils outside my front door respond to the recent, and hopefully final, storm of the season. For some reason, I was so impressed by their resilience that I just had to document their recovery. During early March there hardy harbingers of Spring had blossomed and were providing a much needed splash of color for the front garden. Within a week, however, the severe nor'easter which swept up the Atlantic coast had pummeled them into submission under as layer of snow and ice. 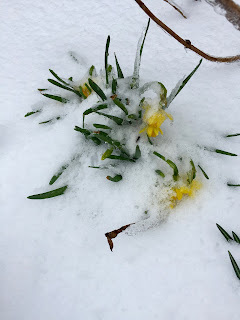 They looked very sad and it seemed that Springtime had been cruelly ripped away from us. At the time I snapped the image, I was convinced that these small flowers were going to be another lost joy of Springtime. "But wait . . ."
As they say in the Television sales industry, ". . . there's more!" 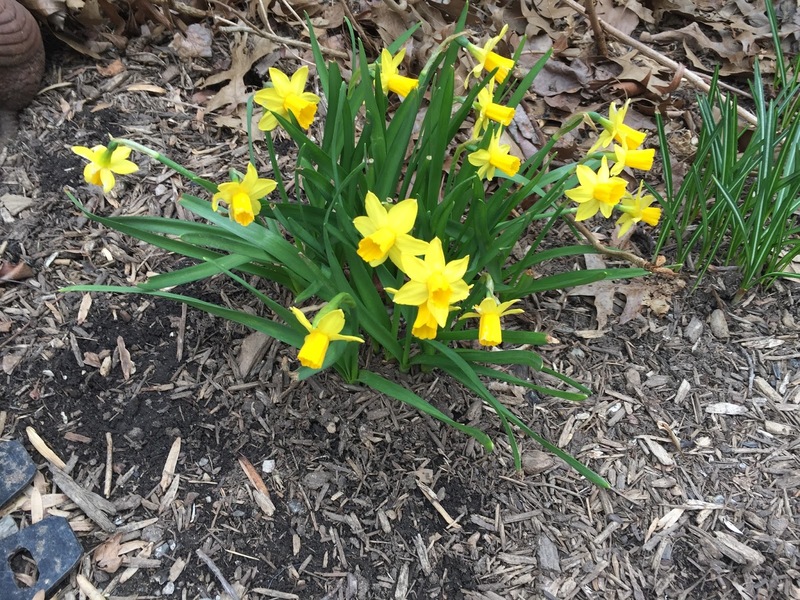 Less than two weeks after the icy blast the small clump of flowers, like a Phoenix, have risen to regain their full Springtime splendor, which is kind of tough since they are so small. But there they are, standing tall and proclaiming the power of Springtime! 1. It is the last Monday of March 2017. It seems like the month began only yesterday. 2. Fortunately, Saturday was a fantastic day, weather wise. 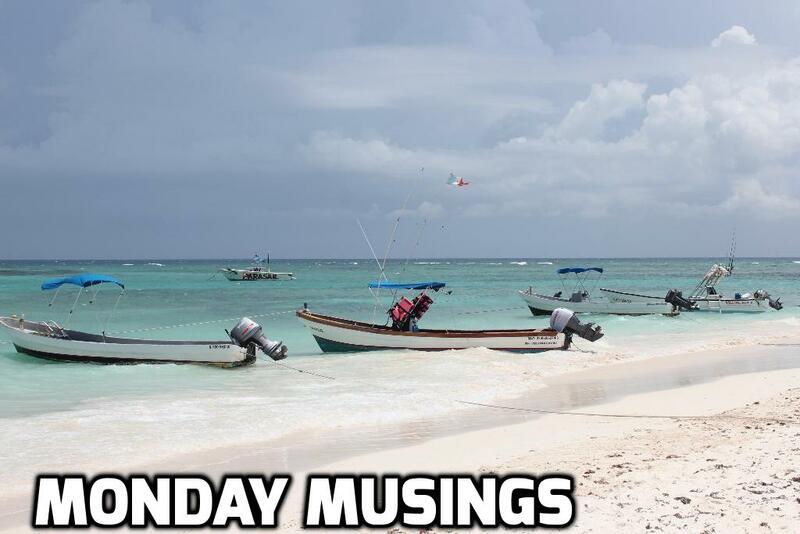 Yesterday was a bit of a bust. 3. Who rests in former President James K. Polk's tomb? It may not be the former President for much lingerie according to a story in the morning's New York Times. 4. March Madness has been weaned to the Final Four. Is your bracket still alive with North Carolina, South Carolina, Oregon and Gonzaga. My bracket is kind of busted! Although, I still have two of the four. 5. One week from today is Orioles Opening Day! Current forecast if for partly cloudy skies and 61 degrees. That would make it both warmer and drier than some of the Opening Days that I have attended. 6. 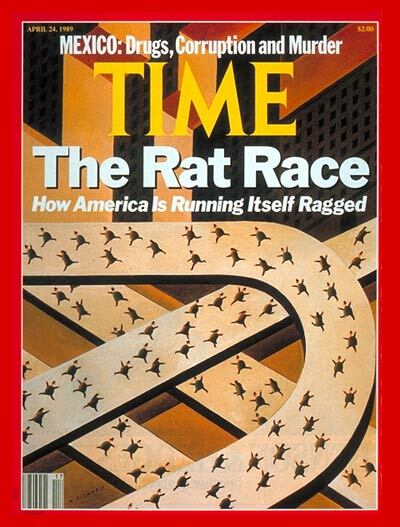 The problem with our Congress is that they are more interested in not passing legislation than they are in ensuring the proper functioning of the government. What happened to bipartisanship? Will the country have a budget this year? "It's time to put politics aside and do what the Congress knows has to be done sooner or later anyway: give the American people a budget process that controls spending, a budget process we can be proud of." Yesterday, the weather did not disappoint. According to some reports, the high temperature made it all the way to 80 degrees. I was on Compass Pointe Golf Courses during the heat of the day and while I cannot confirm the high, I can attest that it was a nice day and everyone I know seemed to be outside enjoying the weather. I even got a touch sunburned! 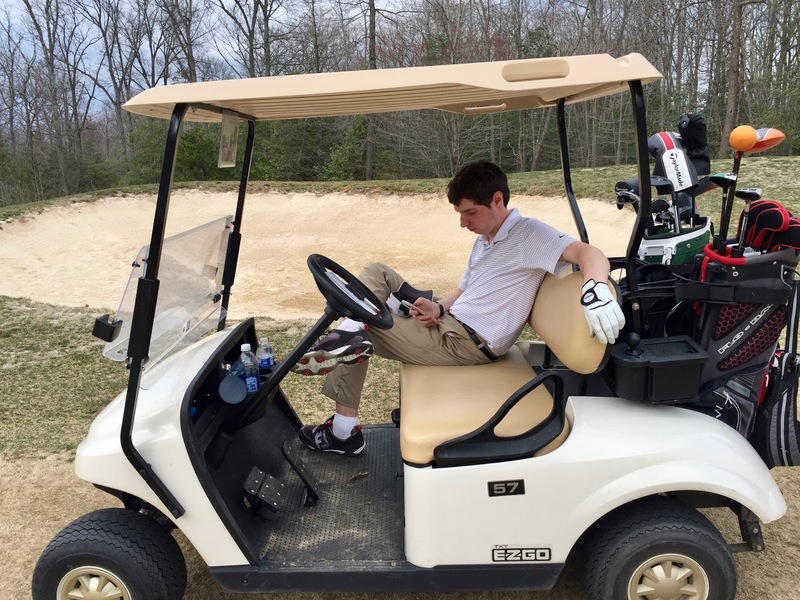 The ranger monitoring the action at Compass Pointe Golf Courses indicated that for the first time in seven years all 150 golf carts were out on the courses. Apparently, every golfer in the region saw the forecast and had the same idea--get out and play. Trevar and I did enjoy 18 holes of the slowest golf ever played. It took almost 5 hours to complete the round. But, given the great weather, what else would I rather be doing? I just find it hard to stay focused while waiting around to make the next shot. By comparison, we played 18 holes in 2 hours and 55 minutes on Friday. Over the past three days, I have played 45 holes of golf! And coached a baseball practice. And I even went to work! Sadly, today the weather is going to be colder and I have things to do that I have been ignoring. Back to reality, I guess. The weather is going to be fantastic this today! And that is when compared to the cold weather of the recent weekends of March. There have been times that I wished for February's return because there were so many 70-degree days during that month and thus far in March there have been none. It was so cold during Wednesday's baseball practice that my fingers turned numb. 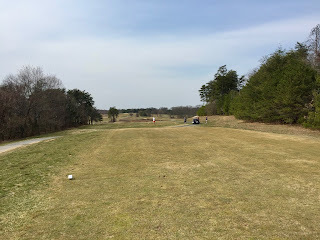 Even Thursday while playing my first golf round of the year, it became so cold by the end of the 9-hole round that it was unpleasant. 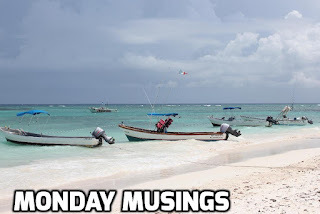 The big events of the past week were not sports related. During this week I noticed that the peepers had returned and the birds are now singing loudly in the mornings as I leave for work. 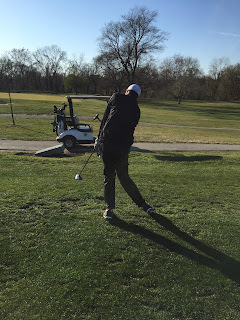 I plan to celebrate the first 70-plus degree day of the month by coaching baseball practice in the morning and enjoying an 18-hole round of golf in the afternoon! I may need a down day tomorrow! I made it to a local golf course yesterday for my first outing of the year! Fortunately, Carroll Park is close and Trevar and I made the last open tee time for the day. 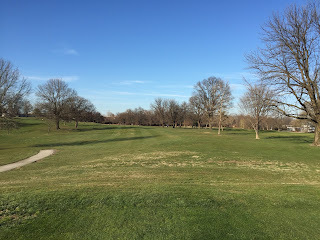 The course was in good winter shape. Having the grass still struggling to grow made it easier to find the balls, unlike later in the season. Being the last ones out, the ranger was pulling the pins as we made our way across the last holes. It was cold. The temperature was in the middle 40's as we began, but the sun was warm. By the time we finished it was just cold! We would have finished sooner than almost two hours, but the group in front of us was playing very slowly. But then, that is why people go to Carroll Park, to learn the game. It was just cold, so that magnified the amount of time we stood around waiting for them to play. Day one of the year on a golf course. It was great to finally drive for the fairway rather than the range, I actually missed all of them but only by a few yards. The Fourth Amendment of the Constitution is supposed to protect Americans from unreasonable search and seizure. It is under attack again! Apparently, the Fourth Amendment does not apply at the borders of the United States--or so Customs and Border Patrol officials would have us believe. As reported on NBC News, American citizens are having their personal cellphones searched against their will. This is an important situation. The willful dilution of the 4th Amendment is an unacceptable risk for all Americans. It is not an issue of, "why do I care if I don't have anything to hide?" It is an issue of we each have the right to privacy in the absence of probable cause. The government has proven on multiple occasions that it cannot adequately protect the most sensitive secrets of the nation, what makes us think that they will protect an individuals personal information to include banking information and credit cards information any better? Although case law from 150 years ago is cited to support the searches, somehow I do not believe that the wealth of data stored on cell phone were considered during that ruling. The New York Times this morning has an article about safeguarding your data when crossing the border that makes for very interesting reading. This is an important issue. While the law may give them the right to go through the devices, it may not allow them to actually access the data. This will be playing out in the courts soon. 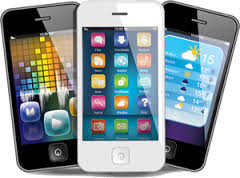 It is one thing to examine and quite another to electronically copy all of the information contained on the device. 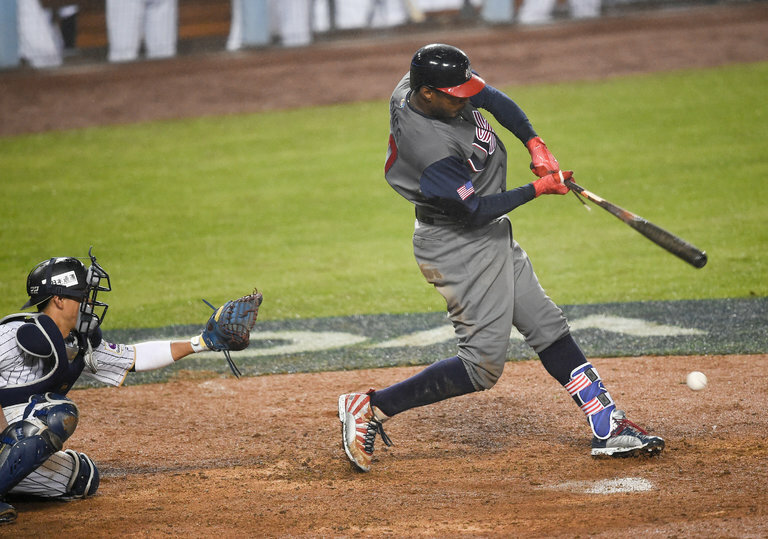 The U.S. World Baseball Classic Team is in new territory. 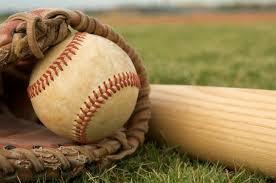 The country that invented the game of basebal ahs never been in the finals--until now. Last night the U.S. defeated Japan 2-1 to reach the finals against Puerto Rico. The game will be played tomorrow night. It is exciting, especially because the MLB teams are still in Spring Training and the Orioles center fielder, Adam Jones, has been a major contributor to the success of the American team in the tournament. Last night he drove in the winning run in the 8th inning. In other games he has also had critical hits and home runs to keep the American team alive. Having the U.S. team reach the finals is almost like having a World Series in March! And there have been Orioles on most of the better teams. Last evening I made it to my first baseball practice for the GORC Dodgers U10 baseball team. There had only been one practice prior to last evening due to the snow storm which blew in last week. I have to admit, I was very impressed with the team. There is something invigorating about watching boys chase baseballs and make hard throws wearing big smiles on their faces. Yes, the infield was too wet to actually run bases and I forgot to take any pictures, but it was a great practice. It was also a much needed respite after a couple weeks of inside the house projects and "too cold to go outside" weather. It was also a great way to celebrate the first day of Spring! 1. Happy day. 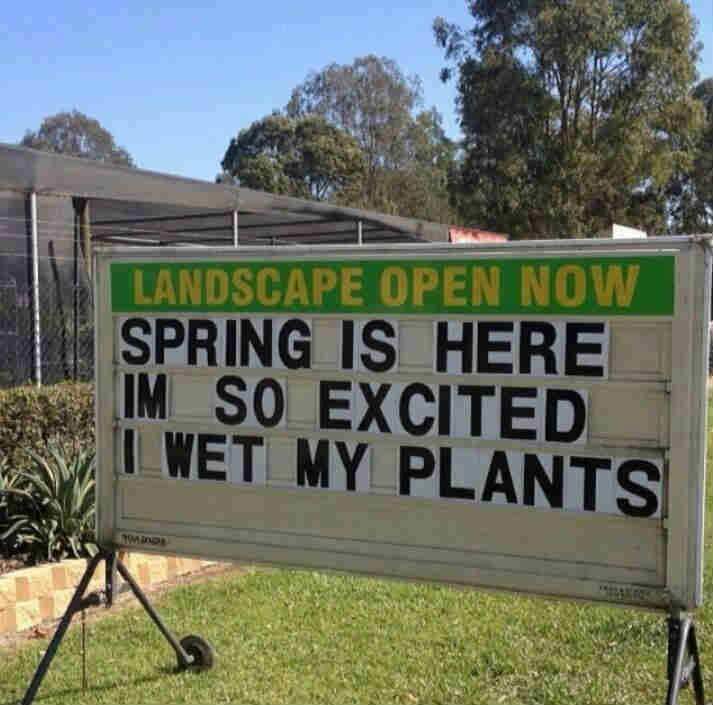 It is the first day of Spring. The winter is over and happy days are ahead. 2. I think my friend Mark said it best--we are a lot better at drinking wine than making it. 3. March Madness has been maddening. 4. The region has surpassed 12 hours of sunlight per day! Yay! 5. Week one of Daylight Saving Time is over. I think I have restored my schedule and made up for lost sleep. The team was formed for another run at winemaking glory. The annual event at Keswick Vineyards has been convening during weekends this March with the intent of blending the best wine from components. This year the vintage was 2016 wines composed of Cabernet Sauvignon, Touriga, Chambourcin, and Merlot. We had a lot of fun and made a very drinkable wine. We did not win the competition, sadly, but like all sports there can be only one winner and everyone else become also rans. But, what is important? We had fun, we made a good wine, and we learned more about how hard it is to make a wine that appeals to everyone. Despite the unseasonably cold weather, I know that Spring is close. I see evidence that Spring is close in the blooming flowers under the frozen snow and the frost-blasted blossoms on the trees. 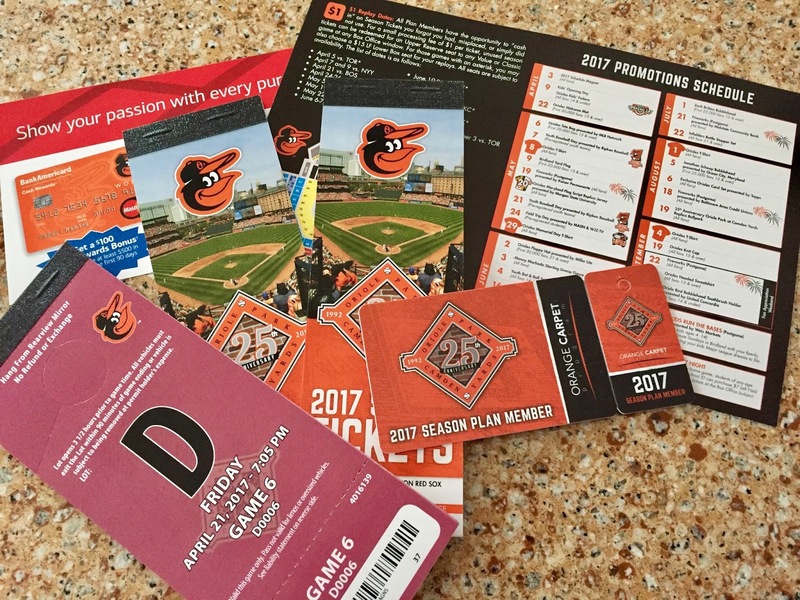 But the real reason that I know Spring is almost here is because my Orioles season tickets came via Fedex the other day. And I bought my Opening Day tickets online. Orioles Opening Day is close, less than three weeks away. The date has not crept into the 10-day forecast quite yet, but it is getting close. 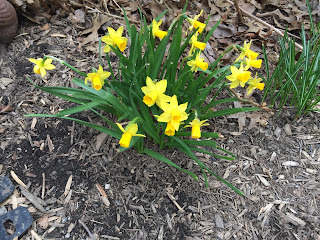 Spring officially arrives on Monday in the morning, but in my heart it is already here despite the frigid temperatures that I am suffering through. 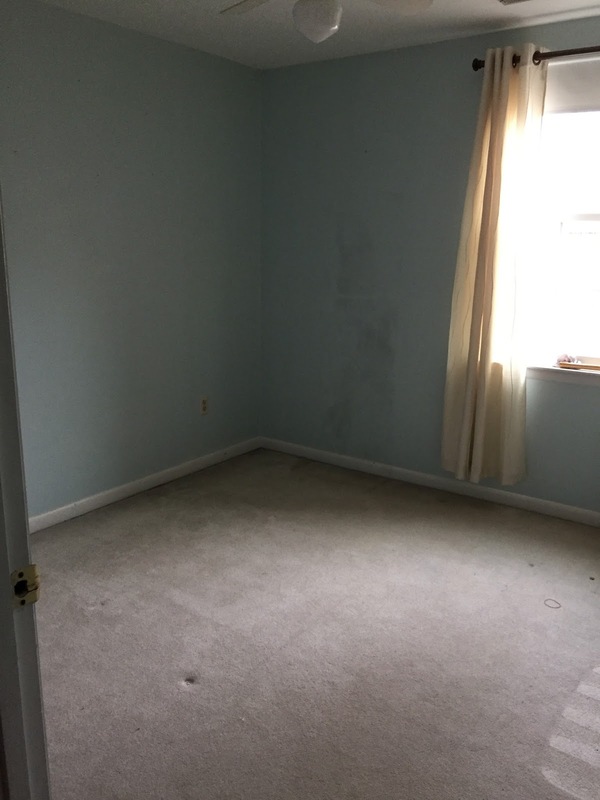 It began on Sunday with the demolition of the carpet and it ended on Tuesday evening as the small guest room was completed. A new wood floor and new paint. A project complete. Well, now there is the issue of replacing the ceiling fan. It is a good feeling to be at the end of a moderately complex two room project which saw the last of the 16 year old carpet removed from the sleeping areas of the house. The new floor just glistens in the light of the day. We still have not reinstalled pictures on the walls as we are deciding how the room will be decorated. We have so many options yet. 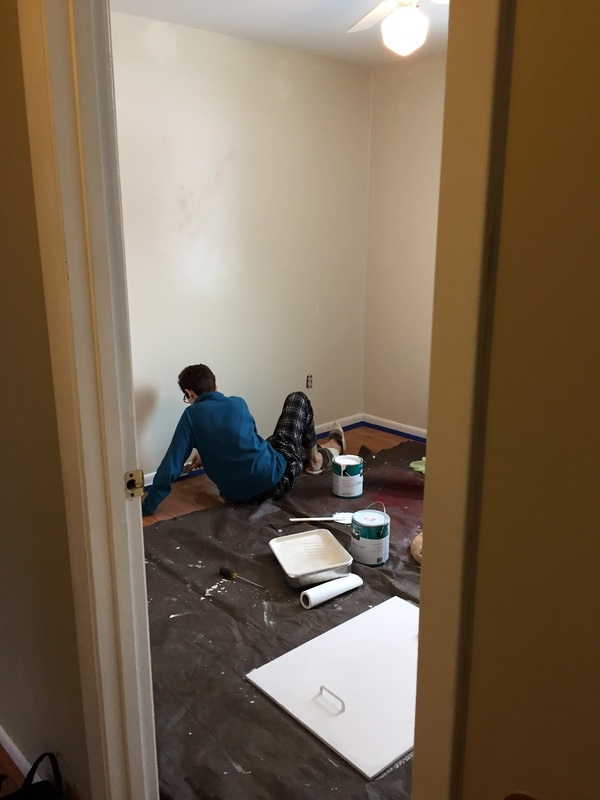 It was a busy week and a half of removing carpets and installing flooring and then painting. Sadly, it seems that the completion of one home improvement project brings another to the top of the list. I remember the TV shoe, Home Improvement from a few years ago. Some days, I feel like Tim the Tool Man! The nor'easter that blew into the region during the early part of the week was relatively kind to the Baltimore region as compared to Central New York where over two feet of snow fell. There were, however, casualties from the cold, icy, snowy mix that wound-up covering my lawn. The tete-a-tete daffodils struggled to keep their bloom in the light but became overwhelmed by the onslaught of the precipitation. I was careful as I shoveled the walkway, which was covered by about three inches of slush by the time I got around to it, not to cover the struggling sign of springtime. Just a short few days ago these same flowers were gaily proclaiming the arrival of Spring. Monday is the official beginning of Spring. 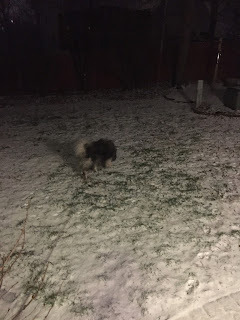 I hope the snow will be gone by then, at least from my yard! The storm of the season, for this region, blew in overnight. 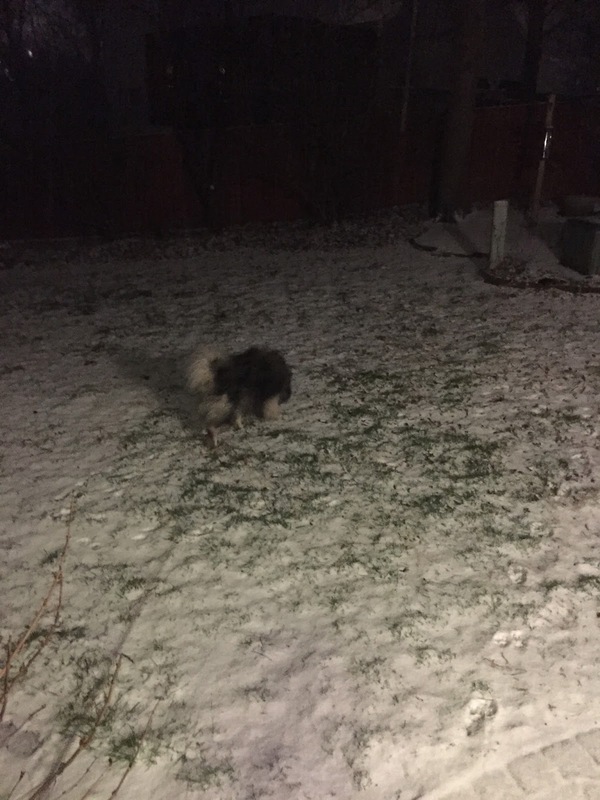 It is snowy, wet, and cold outside. The freezing rain is making life a mess. it is a storm of contrasts. The temperature this morning in Ocean City is 50 degrees and in the far west of Maryland near Grantsville it is 23 degrees. In the Baltimore area it is holding right at freezing. The news reports that the paltry amount of snow that this storm has provided changed the characterization of the winter form the least snowiest on record moving into a tie for the fourth least snowiest on record. Total snowfall for the season is less than 3 inches. 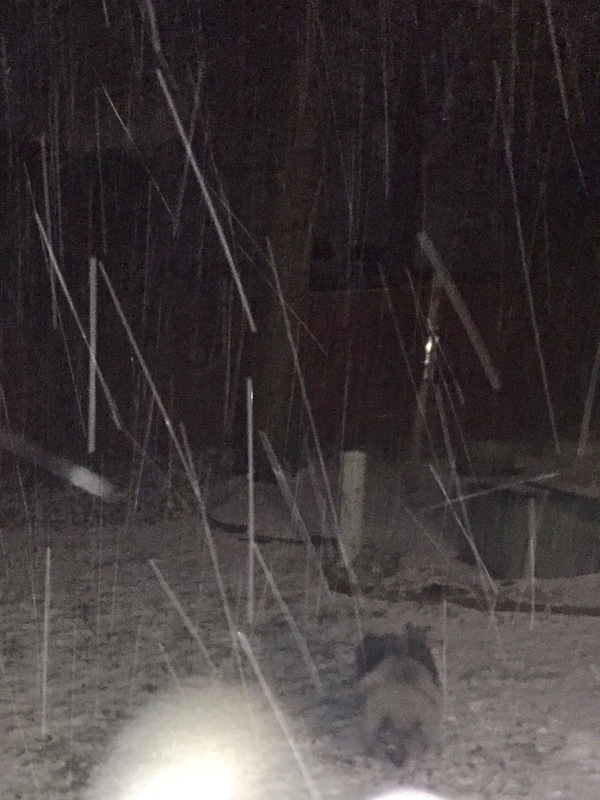 Just north, however, near the Pennsylvania border this storm is delivering 12 inches of snow! The snow, rain, and freezing rain is making things very messy. The storm is not over and up to three more inches is expected as the storm moves along up the coast. It should be a very interesting day. 1. The flooring project is complete. 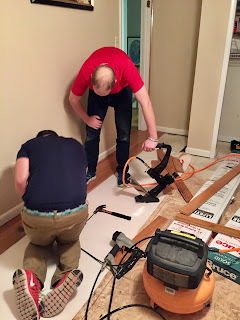 Chris and I, with a lot of help from Patrick and Tina, took the remaining bedroom from carpet to wood floors in one day. Now it will get a fresh coat of paint! 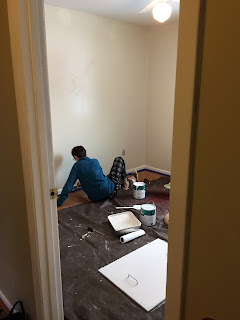 It is funny how we didn't paint the room, yet, but the color looks so different in the photos. 2. 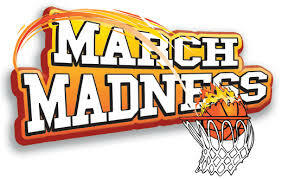 March Madness is underway. Sadly, Syracuse did not make the big dance. Maryland is the 6th seed in the West. 3. The world baseball classic is underway. Go USA! 4. 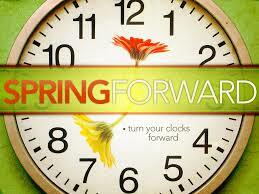 Daylight Saving Time has arrived. I am already feeling the loss of sleep. 5. Springtime is taking a break this week. A major snowstorm is headed up the east coast. Hopefully it is Winter's last gasp! Working inside on a Saturday when the temperature barely crept above freezing, the first room of the flooring project was completed. 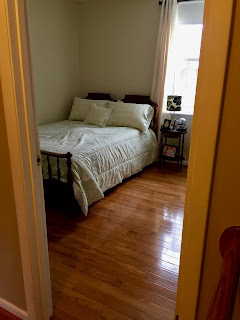 Not being distracted by weather outside calling me to a golf course or to perform needed Springtime yard work meant that I was able to be totally focused upon finishing the room. Chris was equally focused. The room looks great. I need to give a big shout out to Patrick, Corey, and Jeremy for their help! It takes a team to be successful! Part two of the project will begin today. 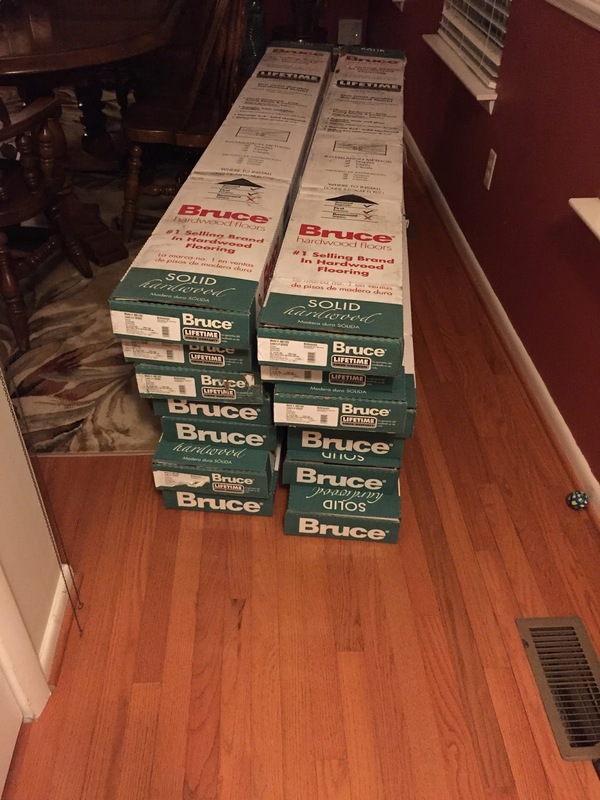 The flooring boxes are residing in the dining room and they need to get out of the way. Fortunately it is a much smaller room and I hope we can knock it out in a couple of days. 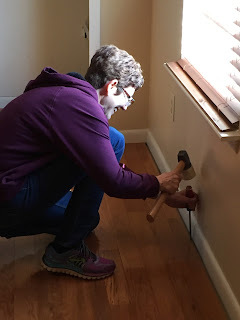 Home improvement projects, always something to do. That time of the year when everyone gets to experience sleep depravation arrives tonight when the clocks skip over an hour to adjust for Daylight Saving Time (DST). 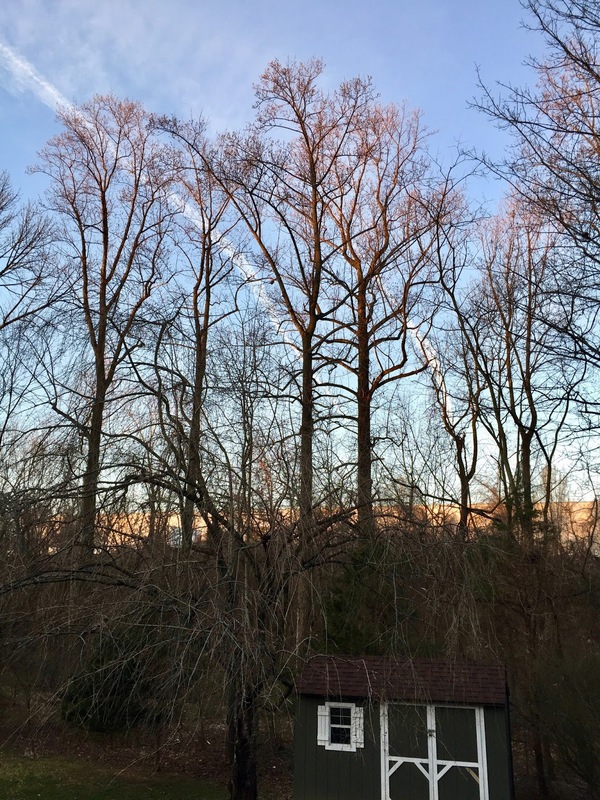 I appreciate the extra hour of daylight in the evening when I can best use it, but I will miss seeing the sunlight kiss the tops of the trees as I leave the house and head to work. It will be dark on Monday when I drive out onto the highway, sadly. 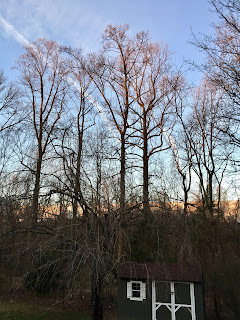 I have enjoyed watching the sunrise for the past month or so, but DST's arrival means that I will have more fun outdoor activities in the evenings. Except of course for the next week due to a major winter storm which is in the forecast and temperatures which will not see 50 degrees for the next 10 days! Maybe the actual arrival of Spring will bring a welcome change in the weather--for the warmer. 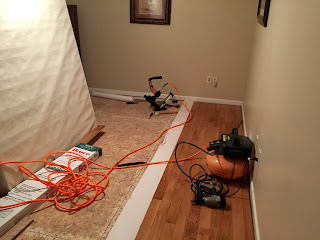 The Springtime project is the primary activity around the house with the flooring project being the centerpiece of evening activities for three nights now. The first of two rooms, also the largest, is about 3/4 complete thanks to the continued help of Patrick and Corey. Last evening we laid 14 rows of flooring and added to the 7 rows that Chris and I laid the night before, there are now 31 of an estimated 40 rows of flooring installed in the room. It is a large room, 11' X 18' and therefore takes a lot of time. Jeremy even provided some assistance last evening helping to get some of the rows installed. The weekend is coming and I am hopeful completing the project, including moving onto the last room which is significantly smaller coming in at 10' X 13'. And it is smaller than that since the closet, which I included in the total width, does not run the length of the room. Springtime toys with my affections while I labor on the flooring. 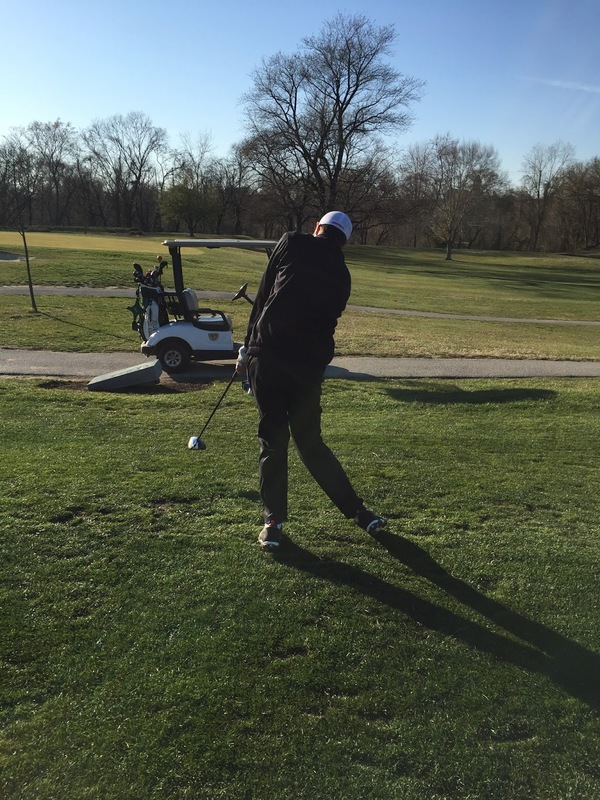 Yesterday the afternoon sun and warmth called to me, but I was dedicated to the project and did not even hit a golf ball to continue getting my swing ready for my first sojourn to the golf course. I am a bit depressed because the forecast for the arrival of Spring looks more like a mid-Winter festival. The temperature will not crawl back to 50 degrees until next Saturday! Who came up with that plan? Well, I guess it gives me a chance to finish the indoor projects before beginning on the outdoor living projects. Any thought I had of opening the pool early have clearly vanished into the forecast for cold, rain, and some snow and ice! Thus far into the month, March has been a bust. I am wishing for February's return and its 70 degree days. March has been sporting weather too much like the season and my hopes for an early Spring have turned into thoughts of just getting to Spring. Program Note: Spring begins on Monday, March 20th at 6:29 AM EDT when the sun crosses the equator arriving back over the Northern Hemisphere. I have a sense that there are more below freezing mornings forecast for the next 10 days than we experienced during all of February. And then there is the major snow weather event on the forecast for Tuesday! Who dreams this stuff up? 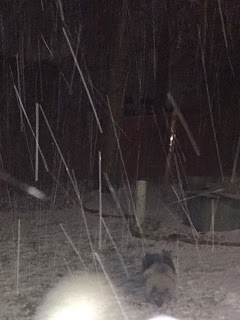 Should it materialize with 1-3" on snow, it would be the biggest storm of the season and arrive the week before Spring officially graces the calendar. Today's expected high temperature of 66 degrees will not be repeated or exceeded during the next 10 days if the forecast is correct! That is a depressing thought. Well at least the following quote made me smile. 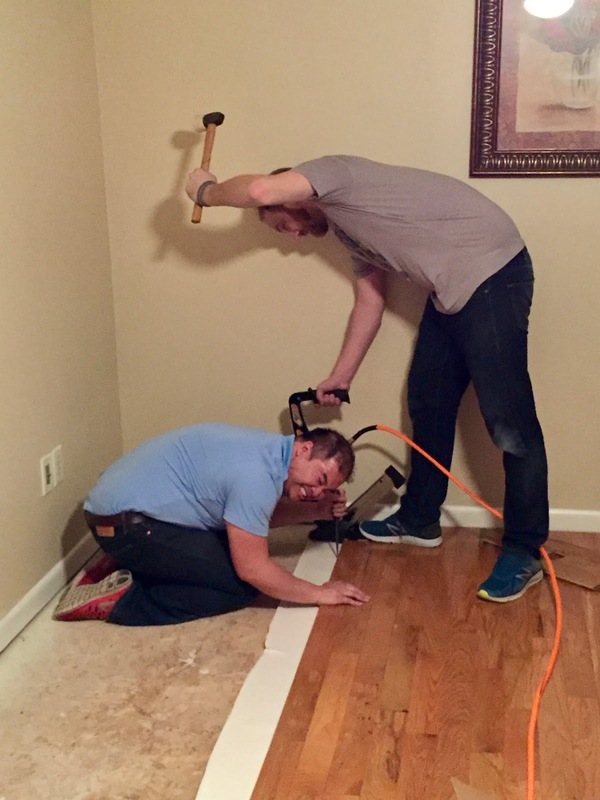 For some reason, Chris and I have inaugurated a major flooring project at the house. The upstairs is in complete disarray as the remaining two carpeted rooms transition to hardwood flooring. This is a DIY project and I am feeling the impact of the first night's effort this morning. 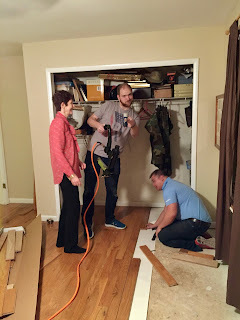 The first room to be transitioned was stripped of its carpet over the weekend and the flooring was retrieved from Lowe's on Monday evening. Thankfully, Patrick and Corey were available to help get the flooring started. It took a long time to get the first line right--but the first lime is the most important. 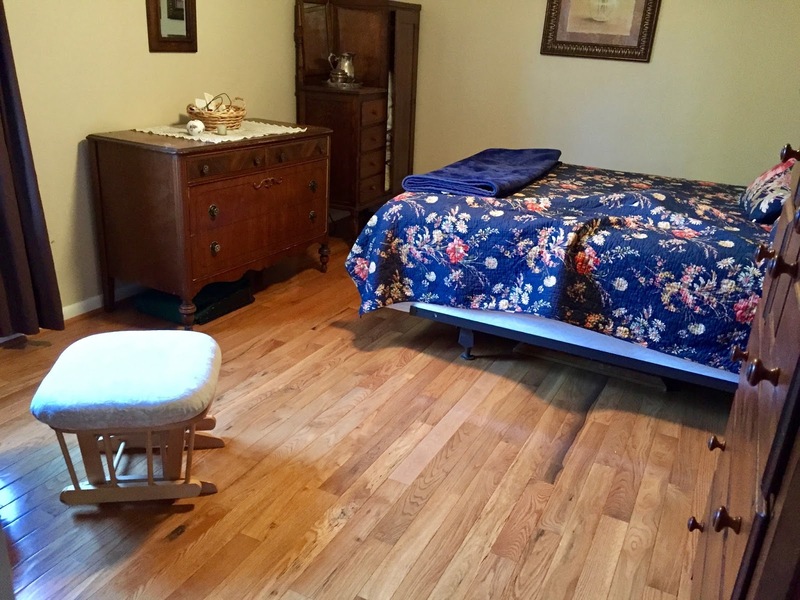 Because the flooring transitions in from the hallway, that added a great deal of complexity to getting everything set up correctly. Patrick also bought over a really nice compressor with two outlet ports, which meant that the flooring nailer and the finish nailer could stay attached and at the ready all of the time. 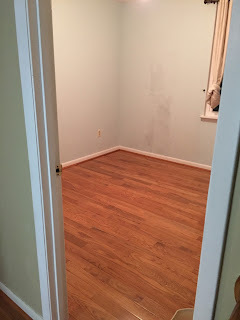 I just realized that at the end of this project, I will have no need for my flooring nailer because there are no other floors which need transitioning from carpet to wood flooring. The garage has a table saw and a finish saw both set up and ready. There were a lot of cuts to get the first row laid since it was not a complete board width in length. That was because it had to integrate across the threshold from the hallway. By the end of the evening, and after a great meal fixed by Chris, 10 rows of flooring had been laid and everything was beginning to get into a good rhythm. According to my calculations, the room will be 40 rows wide and therefore, the room is 25 percent complete. It doesn't look it. It will be awesome when the project is completed. The New York Times labels it Travel Ban 2.0. Whatever it is called, the travel ban is back via Executive Order! It has been changed and may even, mostly, comply with the law. The measure limits the numbers of immigrants and will be phased in over the next couple of weeks. While I am not a huge fan of the order, at least this one is being done in a way that allows the enforcement to commence in a rational manner. The Washington Post in its article titled What Trump Changed in the New Travel Ban, provides a nice side-by-side comparison. I wonder what will the be the next Executive Order of the day? 1. March has dawned and it has been really cold. I am looking forward to a warm-up this week. 2. The Orioles are 5-5-1 in Spring Training games through Sunday. Yes, there are ties during Spring Training. 3. I tried to start my tractor and do some Spring lawn work. It wouldn't start. Ugh. It is going to need some more work. 4. When is reality fake news and when are false claims reality? Is real even real anymore? I'm so confused. 5. Why did the mammoth's die out? Lack of genetic diversity may be one reason according to a New York Times article the Woolly Mammoth's Last Stand. 6. One bedroom is fully demo-ed waiting for the wood floor installation that promises to be my existence for the next two weeks. 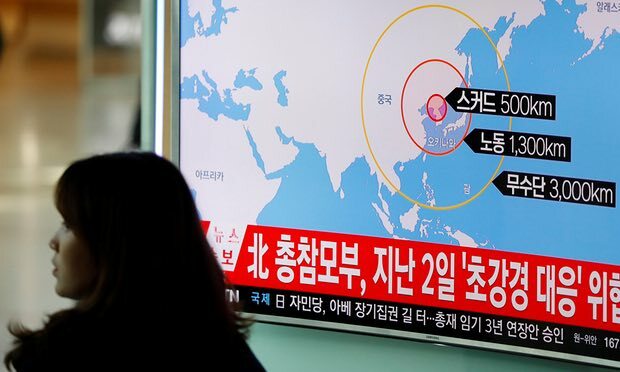 a news report on North Korea firing ballistic missiles. 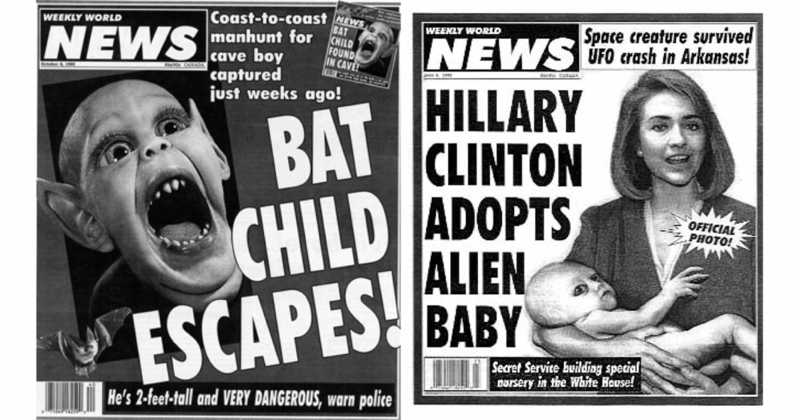 I have a hard time determining the difference between fake news and false claims. I guess, if stated emphatically and often enough false claims become true, or believable. Both fake news and false claims contribute to the circus which is becoming the legacy of the 45th President--the blurring of reality with fiction. The latest false claim about the previous President wire-tapping telephones. It is a mess. I found an interesting website that tracks the falsehoods. It is sponsored by the Washington Post and is titled 100 Days of Trump Falsehoods. Of course, the website is probably fake news. 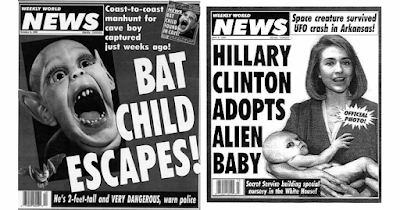 We have always had fake news and some of it makes for humorous reading. 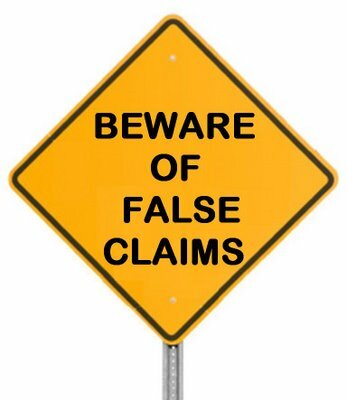 False claims are more disconcerting because they are presented under the guise of being true to intentionally distort the truth. Both fake news and false claims are concerning, but when the leader of the free world persists on distorting reality, I become concerned.